See whether Privilege made it into our list of the Top 10 Car Insurance Companies. 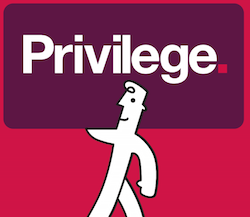 Privilege insurance launched in 1994. 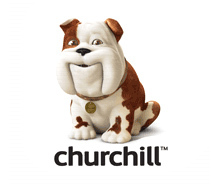 The company is part of the Direct Line Insurance Group (DLG), which owns a number of insurance brands including Direct Line itself and Churchill. DLG is listed on the London Stock Exchange. Privilege also provides home insurance products. Privilege offers a range of cover options. The two main policies are comprehensive and third party, fire and theft. Comprehensive insurance offers the most benefits, including cover in the event of being hit by an uninsured driver, personal property cover (including car stereo equipment), windscreen cover and ongoing medical support. Third party, fire and theft cover offers protection against damaging someone else’s vehicle or property, and causing injury to another person. This level of cover will also protect you if your car is stolen or damaged by fire. Privilege also offers DriveXpert car insurance, which uses telematics to track your driving via a black box recorder and offer you savings when you renew if you've been a safe driver. Privilege says that drivers under 25 can save money with this type of policy, as such, it is particularly popular with younger drivers, who are often hit with the highest premiums. We've listed the 8 best black box providers in our guide to telematics cover. The company also offers a number of optional extras, including legal cover, an enhanced courtesy car service, breakdown cover and no claims discount protection. Its breakdown cover is provided by Green Flag, which is ranked third in our guide to the best breakdown companies. Privilege car insurance customers will have any repairs guaranteed for five years if they use the company’s approved repairers. The firm also offers a multi-car discount. When we researched quotes for Tesla electric cars in August 2016, we found that Privilege offered the cheapest insurance for a Model S through a price comparison site. How much does Privilege car insurance cost? As with all insurers, it’s impossible to generalise the cost of cover from Privilege as premiums will depend on a number of factors, such as your age, driving history, make and model of your car, address, and so on. What do Privilege customers say? According to online review site Reviews.co.uk Privilege scores 4.39 out of 5 based on 325 reviews. However, on Reviewcentre.com the company has an average rating of 1.3 stars out of 5 from 220 customer reviews. Financial review service Fairer Finance ranks Privilege 30th out of 52 providers. Privilege car insurance and DriveXpert policies are both rated 4 Star by independent financial review service Defaqto. A 4 Star rated policy is "a product with a good level of features and benefits".